Using melting plastic, this pen allows you to create free-standing objects in a matter of seconds, which could be anything from a necklace to décor pieces for your home. What’s even better is that this pen is powered simply by plugging it into a standard USB port. 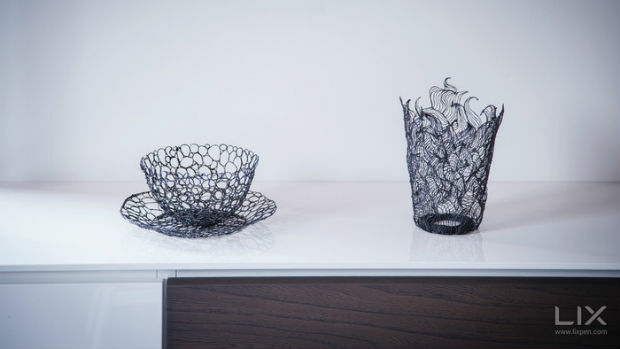 Created by London-based Lix, this pen is by no means the first 3D-printing pen, but, at 6.45in long, 0.55in in diameter and weighing in at 34.9 grams, it’s the first to actually resemble a regular pen. The pen works by heating up plastic inside to 150°C, which is then pushed out through the nib as a hot liquid at the touch of a button. When this liquid is exposed to air it solidifies into shapes. The only limitations with this product seem to be that if, like me, you’re not very artistic at all, then this pen is not going to be your friend. The pen will retail for £85 when it goes on sale in September, but until then you can make a pledge of £43 on its Kickstarter page. Impressively, Lix has already raised £309,956 of its £30,000 funding goal with 27 days still to go!